You’re feeling good because you upgraded some of your standard light bulbs to more efficient bulbs that apparently save energy and money. But, how will you measure the difference? Remarkably, your utility bill does not provide any help. Neither will your bulbs lumens or any other electronic component. The reality is, you won’t actually measure it. 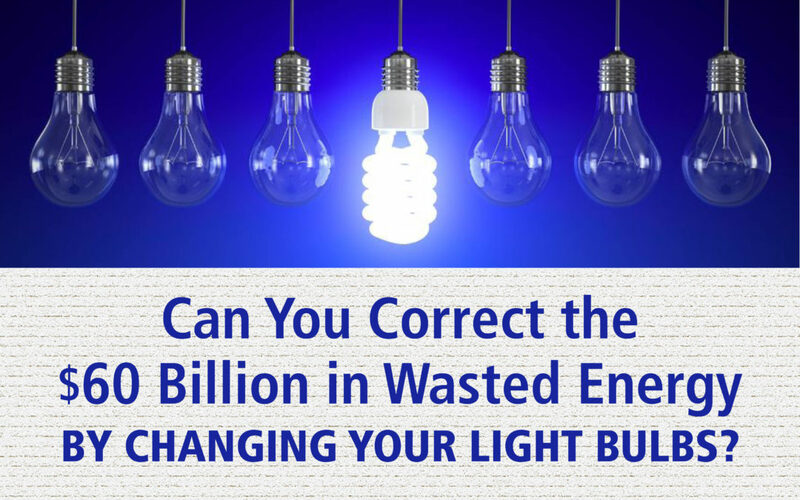 There are few ways of knowing how much energy you’re wasting. And even fewer options to see how much money you could be saving. Instead, many rely on intuition and opinion, which can be heavily influenced by manufacturer marketing. Here’s your bill, now pay it. But, you have access to something so powerful that it revolutionized the energy field, a power that they have ignored: The internet. What if you could really see how much energy your building was using right now? What if you could see your energy usage from yesterday? Or when your AC was running at 11pm when nobody was around? Seeing these could save you the thousands of dollars that your building wastes in HVAC, lighting, and water use. It’s good for your cash flow, good for your investors, and also good for the environment. The good news is that real-time energy data is finally here. By having your existing system analyzed by ECC, you can help correct the $60 billion in energy that’s wasted every year in the commercial and industrial sectors of this country, as estimated by the EPA. So, why is $0.69 per square-foot wasted? It’s because early energy management wasn’t helpful and even modern energy management has been nebulous. Those old energy management options couldn’t provide data that was efficient enough for a human to actually process it. ECC is leading the way with patented technology that brings the transparent data to the front. This directly enables you to identify energy waste and allows for immediate and permanent savings. For example, in March 2016, four commercial buildings realized a $0.72 per square-foot savings after an ECC energy audit was implemented, and provided permanent solutions. ECC finds the waste, measures it, fixes it, and keeps it fixed to ensure your systems are working as efficiently as possible. Utilize the technology available and the expertise we’ve earned in our 28 years of innovating in the energy field. At ECC, we seek to help the modern building owner save money on energy use. With proven results, ECC is a machine when it comes to saving capital and energy and improving system performance and management.